Stealth Studios Inc., in collaboration with Abyssal Arts LLC and Titutitech SCP, has worked long and hard to create a game that delivers on the promise of our original vision. But have no illusion, this is on Steam Early Access for a reason: it is a true Beta. We have a lot of work left to do, so expect many rough edges. That said, please know that this Beta is the culmination of every ounce of effort by every single team member, bar none. 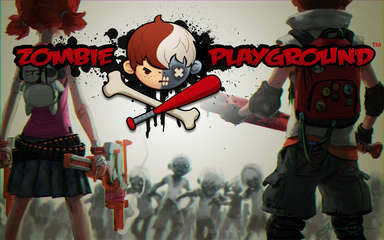 Zombie Playground™ is made with the brains, disease, and puke of all involved - that means heart! We've put everything we have into this development, and we intend to put a lot more. 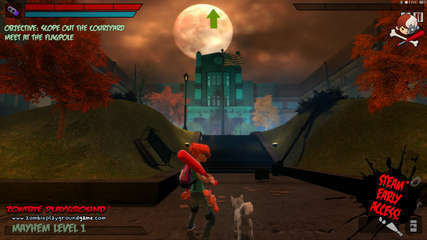 Beta version of the game: This game is a work in progress. DO NOT BUY THIS GAME if you expect a finished game. Having said that, we do regular updates, and we absolutely listen to our community feedback and suggestions with the goal to eventually achieve optimal fun factor! 1 Arena Style Map: Classroom Building Arena Map comprised of a Courtyard, a Main Entrance, and areas for Language Arts, Biology, Computer Science, and Music. Missions: We’ve got basic missions in the game, as well as the code base for many more. We’ll be building and tweaking these over the months to come, along with some honest-to-goodness quests! XP and Account Leveling: Save your XP! Experience earned in the game will eventually be how you unlock items. Do you love that certain backpack, hairstyle, or pair of shoes? Enjoy the open access to customization while it lasts, because soon you’ll have to earn fashionable goods – almost like it was a real game!